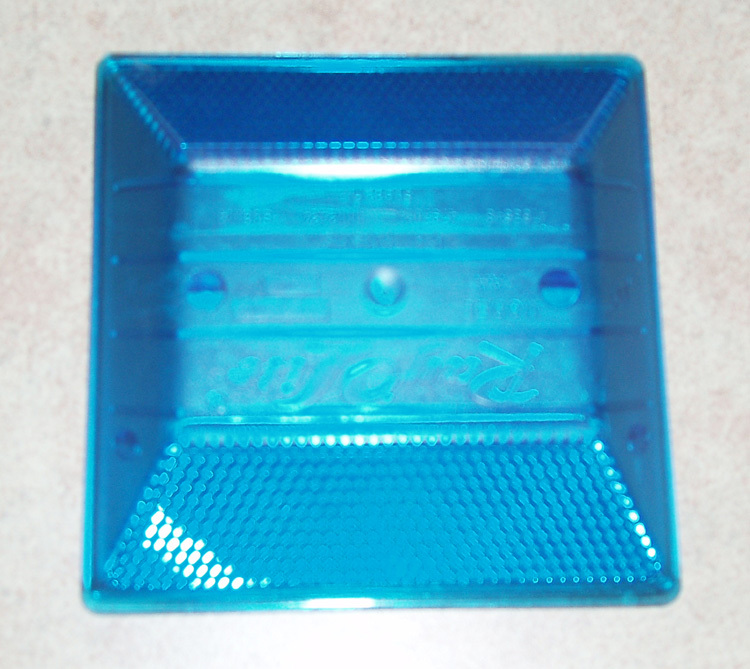 AA - Two way blue | Alpine Products, Inc. The AA is a standard type reflective pavemnt marker designed to offer maximum stregth, high reflectivity and enhanced life cycle. A rib and fish hook design makes for maximum adherence between the shell and fill material. A protective brow protects the top area of the lens from deterioration.